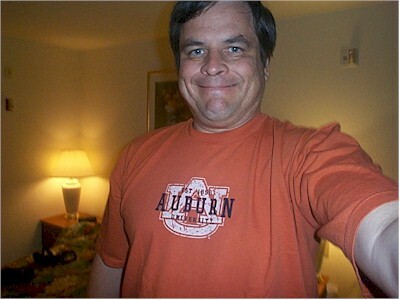 Yup, here's my new T-shirt from Auburn University. My coworker bought a bright orange sweatshirt! Much nicer, but out of my budget range. Besides, I'm enjoying my bright red Mount Carmel High School band sweatshirt so much, that I'd never wear a different one, at least during marching season. I'll get a photo of that later... maybe.